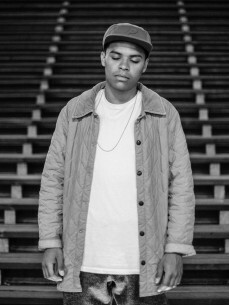 Born in Maastricht, raised in Amsterdam, 23-year-old Jarreau Vandal grew up in a musical family surrounded by cassette tapes full of jazz, soul & funk. Being a 90's kid allowed him to fully immerse in hiphop, rock and R&B. Artists such as Jamiroquai, A Tribe Called Quest, Red Hot Chili Peppers and many others inspired him to pursue a career in music. His Grandfather (also a producer) introduced him to the music production program Logic at the tender age of 16. Since then, he has been hooked and hasn’t stopped producing ever since.